The Physical Copies section shows you the availability and call number. If you Sign In, you’ll see requesting information. 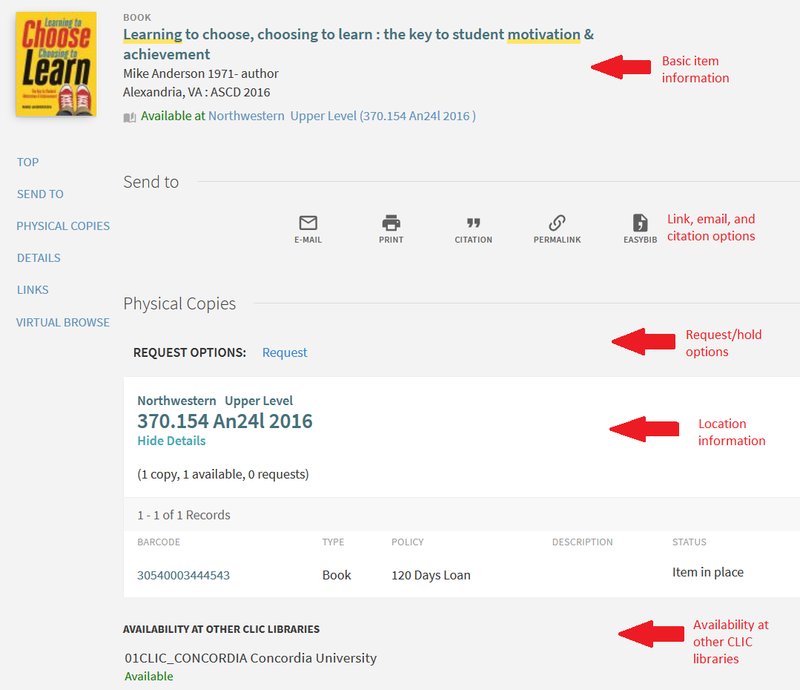 You have the ability to place a hold on Northwestern's copy, or request from another CLIC library if the item is unavailable from Northwestern. 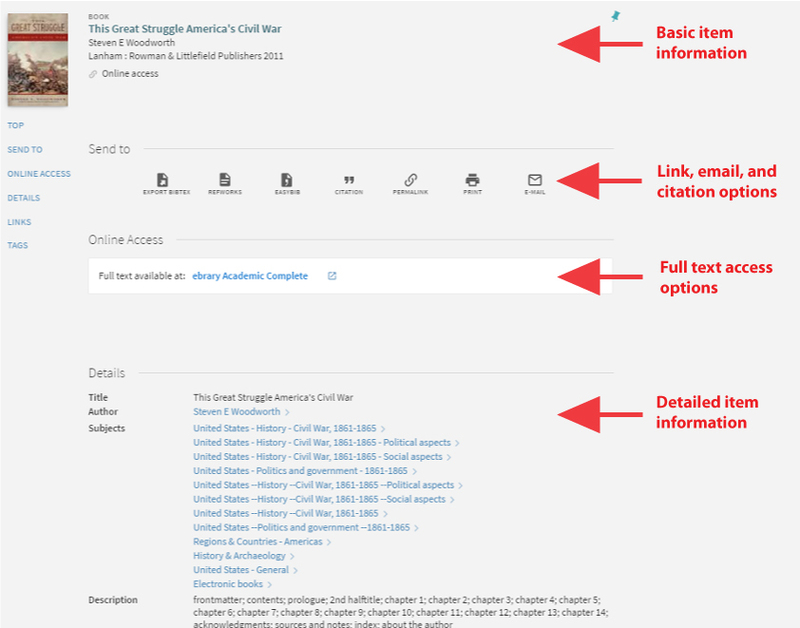 The Online Access portion of the record will have the links to the full text on the provider’s website. If you’re off campus, you must Sign In to see these links.